Fast, precise, reliable printing, with the paper handling versatility to meet all your business needs. For decades, Epson has supported businesses with an impressive range of printers offering exceptional reliability. 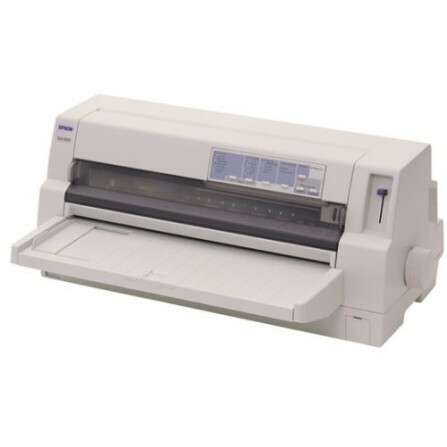 The Epson DLQ-3500 carries on this tradition of unrivalled dependability. Long-life features include a total print volume of nine million lines, plus black ribbon life of six million characters. Which translates into impeccable flatbed performance, day in and day out. Boosted productivity is what the Epson DLQ-3500 is all about. It delivers a stunning 550 cps at 10 cpi in high speed draft, 495 cps at 10 cpi draft, and 165 cps in LQ. 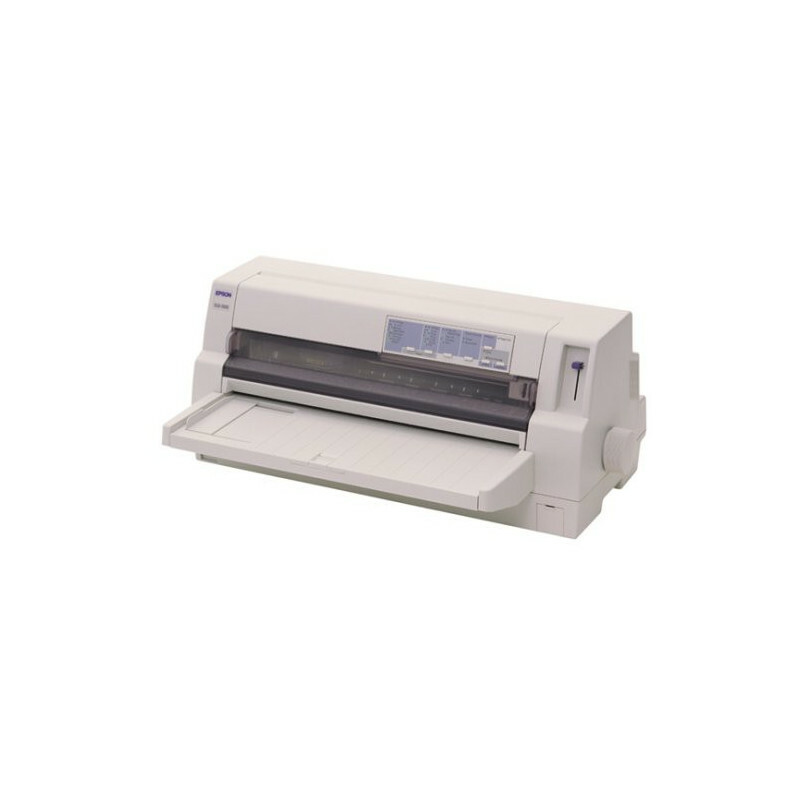 In line with Epson's environmental policy, the Epson DLQ-3500 is constructed of non-toxic, easily recycled materials. It's user-friendly too. The direct path horizontal feed design assures accurate printing every time without crooked lines or smearing. This also contributes to environmental protection by eliminating wasteful use of paper. Printing on single sheets, envelopes, and continuous paper is just the beginning with the Epson DLQ-3500. You can also print on overlapping paper. And for even more versatility, there's Auto Platen Gap adjustment. Switch to the Auto mode, and this Epson innovation automatically detects paper thickness before adjusting the distance between the head and the platen. The result is precise, smooth printing even on forms with labels. If you're using a limited range of paper thicknesses, you can also switch to the Manual mode to set the optimum printing parameters manually. Need copies? Switch to the Copy mode, and the powerful Epson DLQ-3500 can deliver up to seven copies in addition to the original. And thanks to the high impact pressure of the long-life 24-pin printhead each copy is as clear as the original. In addition to standard parallel and serial interfaces, you can install an optional Ethernet card in the Type B interface slot to incorporate the Epson DLQ-3500 in an expanded multi-system network.